Cardaria draba. commons.wikimedia.org (Accessed 11/2017). Cardaria draba is a perennial herb to 60 cm tall, aggressively colonial from creeping rhizomes, stems erect, hairy below. Leaves alternate, stem leaves egg-shaped, base lobed, stalkless, clasping stem, to 9 cm long, 4 cm wide, basal leaves to 10 cm, stalked. Flowers white, 4-parted, to 0.4 cm; inflorescence branched. Cardaria draba mature fruit. Photo by D. Walters & C. Southwick. Table Grape Weed Disseminules. idtools.org (Accessed 11/2017). 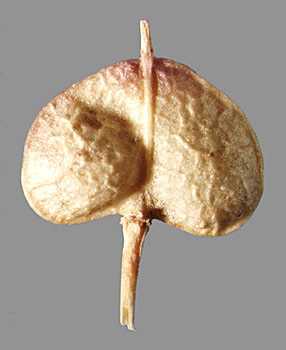 Fruit dry, capsules heart-kidney-shaped, to 0.3 cm long, 0.5 cm wide, wider than long, flattened side-to-side with seam along center. Habitat: Roadsides, open areas. 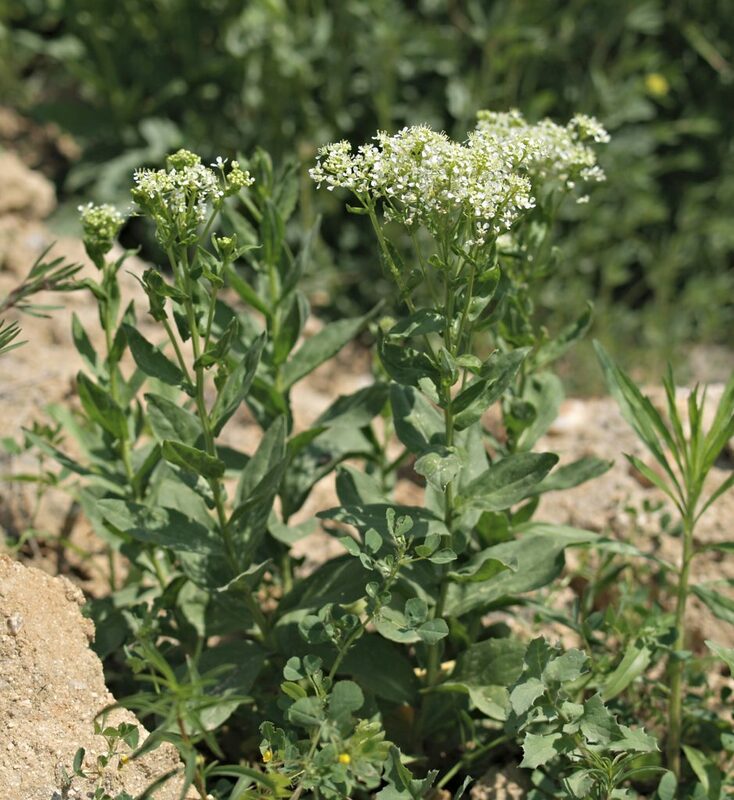 An agricultural weed.